Consuming up to 400 milligrams of caffeine per day is considered safe for the healthy adult population. This limit was determined by the Bureau of Chemical Safety, Food Directorate of Health Canada. The FDA uses this limit because it’s based on a comprehensive review of published studies on the effects of caffeine on human health. Essentially the authors of this review searched all published studies on human health and caffeine, then determined the overall consensus among the studies. The consensus was consuming 400 milligrams of caffeine per day doesn’t pose a threat to the heart, the bones, or male fertility, and doesn’t cause general toxicity or increased incidents of cancer. Consuming caffeine safely means not exceeding this 400 milligrams per day limit. Before consuming an energy drink, look at the number of milligrams of caffeine per serving and the number of servings per container. Careful not to blow your whole caffeine allowance in one shot. 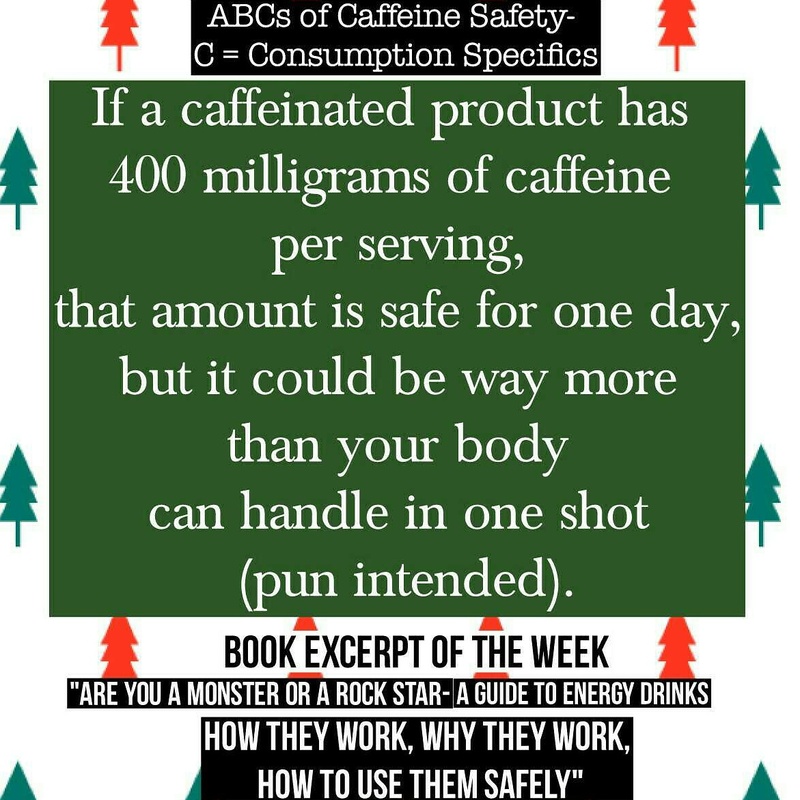 Learn more about the ABCs of Caffeine Safety in “Are You a Monster or a Rock Star-A Guide to Energy Drinks: How They Work, Why They Work, How to Use Them Safely”.